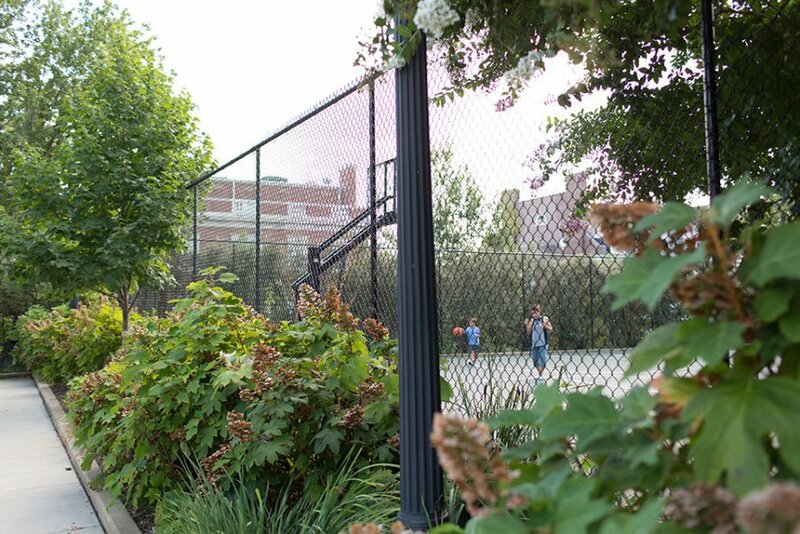 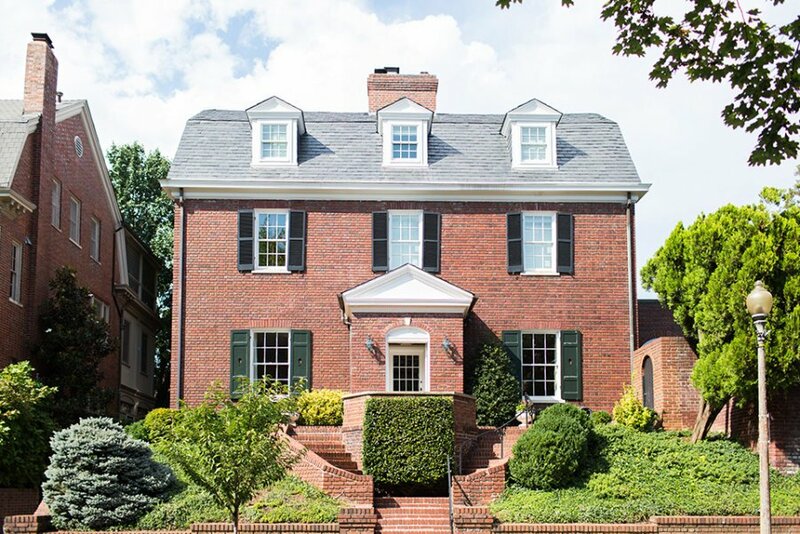 A storied city neighborhood with distinguished estates overlooking Rock Creek Park. 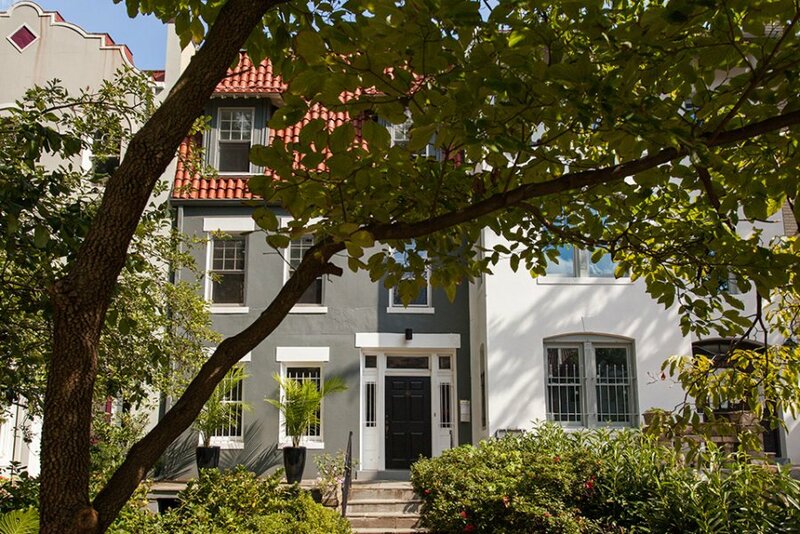 Kalorama—Greek for “fine view”—gets its name from a large, classical estate built on one of the city’s highest elevations in 1807. 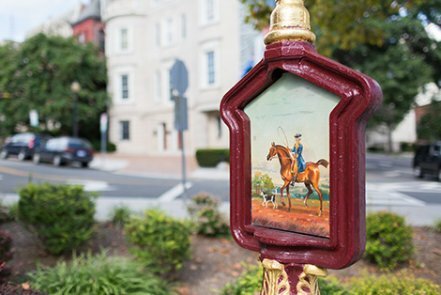 Though the estate is gone, the eponymous neighborhood is now home to some of DC’s chicest addresses, from diplomatic homes and embassies to Mediterranean, Colonial and Georgian-revival mansions. 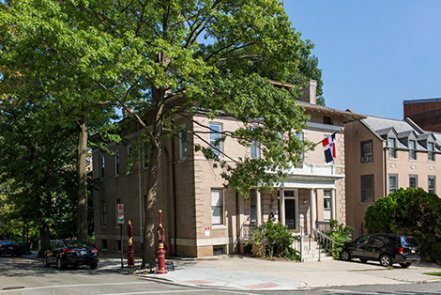 As one of the city’s earliest developments, the leafy streets of this wholly residential neighborhood are off the grid—they were exempted from DC’s gridded street-layout system as development crept outward from downtown. 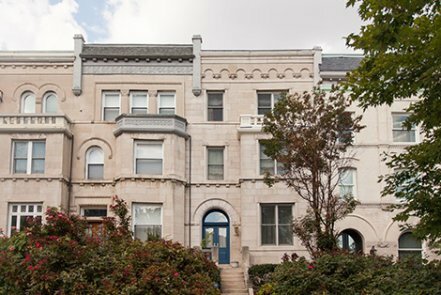 The result is that these distinguished homes and classic old apartment buildings feel a world away from the bustling city around them. 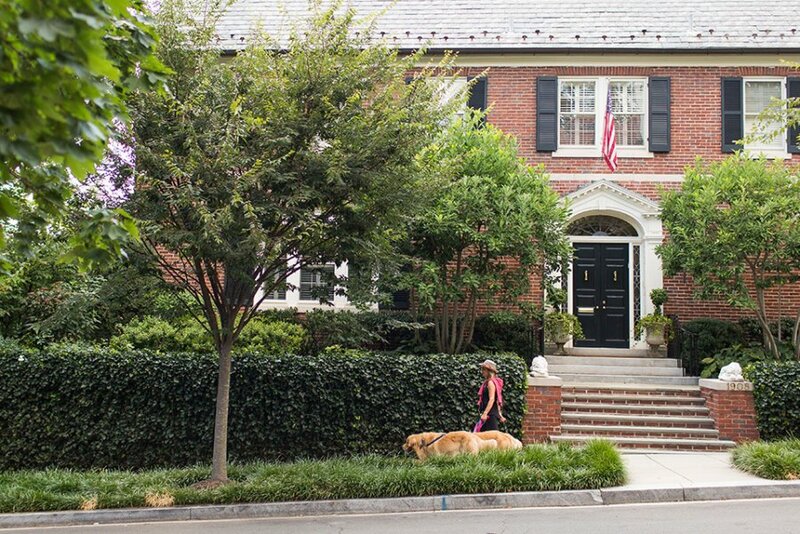 Peace and quiet are the rules of this close-knit community, where security is tight around the homes of former President Barack Obama and current presidential advisors Ivanka Trump and Jared Kushner. 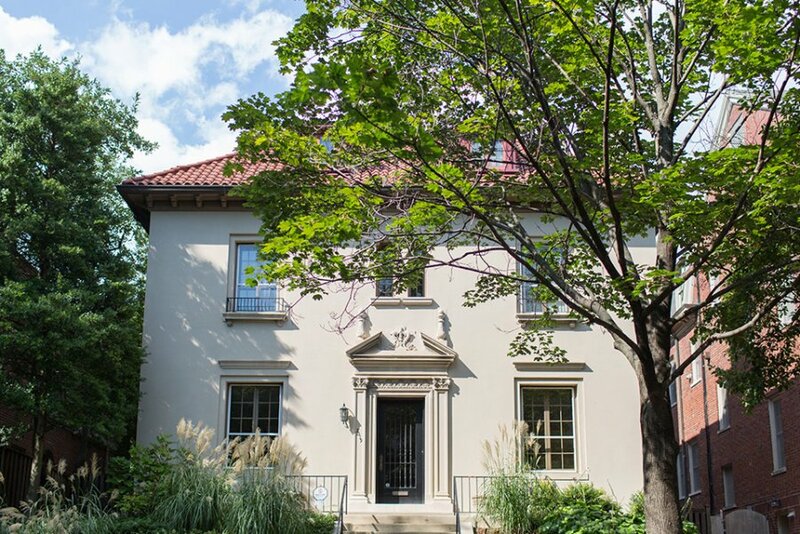 Its residents—be they ambassadors and diplomats, cabinet secretaries, or C-suite executives—come home to escape. 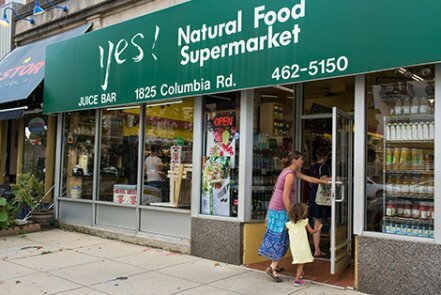 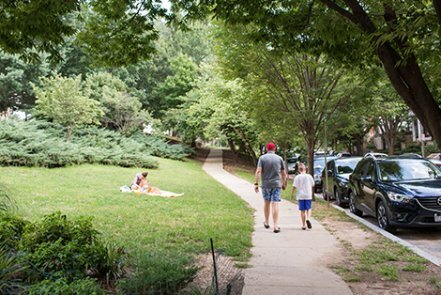 Rather than their high-ranking jobs or social lives, they’re more likely to talk about their dogs, children, or parking woes when they meet on Kalorama’s sidewalks and parks. 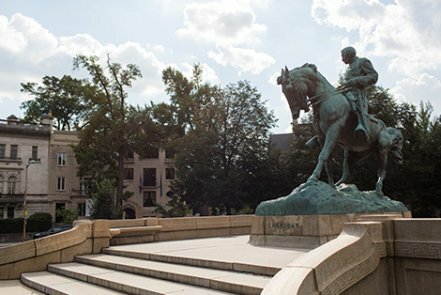 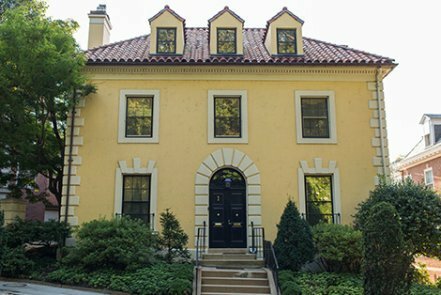 Kalorama is home to dozens of embassies that open their doors to the public every spring to display the fruits of their cultures. 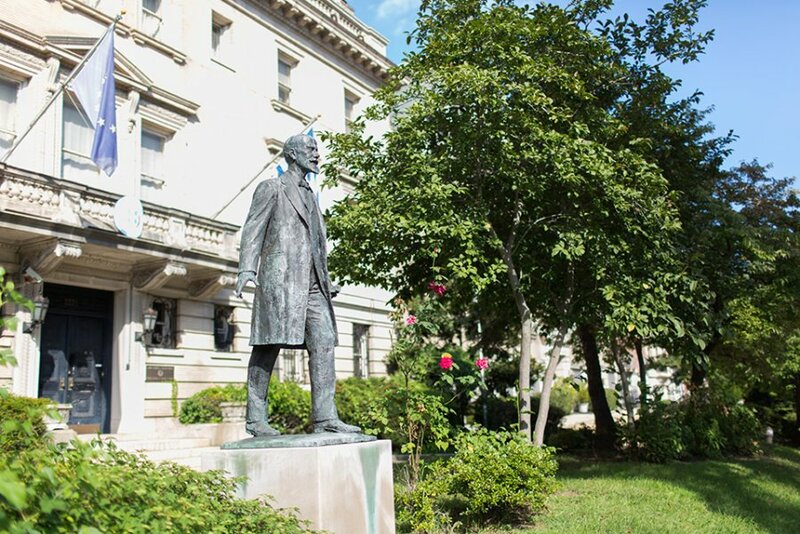 You can also get on individual embassy email lists for public concerts, lectures and exhibits held throughout the year. 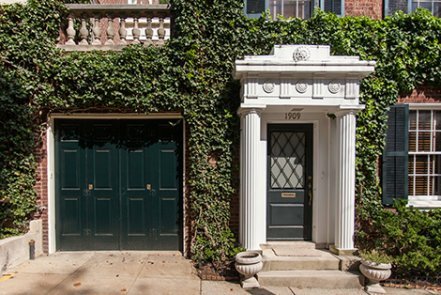 Most of the neighborhood is filled with stately homes built in the early 20th century, and the city’s elite pay millions to snap one up when it comes on the market. 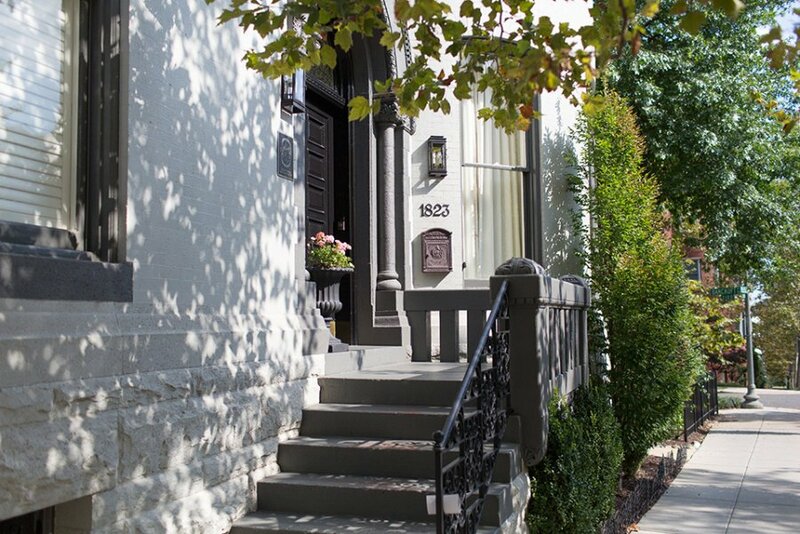 Enchanting streets and forested views. 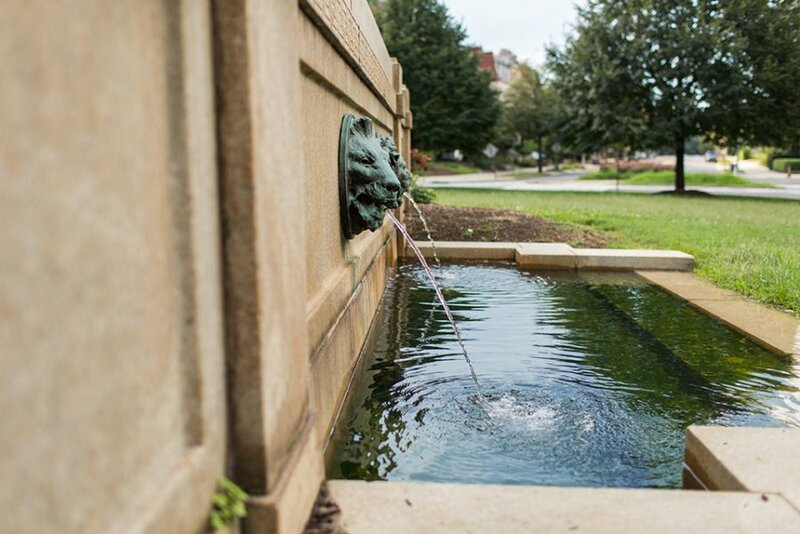 A walk around Kalorama’s curving lanes reveals exquisite architecture, manicured gardens, and views into Rock Creek Park.